We are really pleased with the result of the colour scheme for the Crooked Spire in Chesterfield. After agreeing a selection of blue tones with the church it was then down to designing the detail. Having chosen a ‘pale blue hue’ for the ceiling, we have painted the detailing on the ceiling with a darker blue. 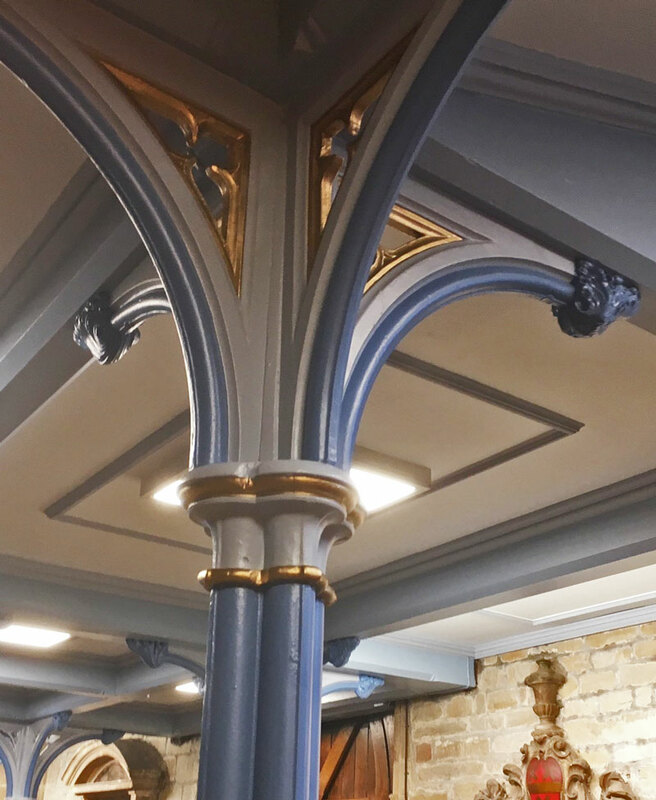 Reversing the colours, the columns which support the gallery above, are painted the darker blue with the detailing highlighted with the paler blue and gold being used to ‘lift’ the features while adding a richness and warmth. It is quite simply… stunning!